A well-crafted journey into the minds of champions. Sports has always been fascinating. The fascination has oozed out of the sporting arena to the champion. Everyone is intrigued about what goes on in the minds of people who excel at the highest level in sports. The obsession is with the way champions think and behave in various situations. Champions' brains are hardwired differently and being a champion is not just about physical ability or athleticism, but about the mind. This book is a journey into the minds of champions across sports. 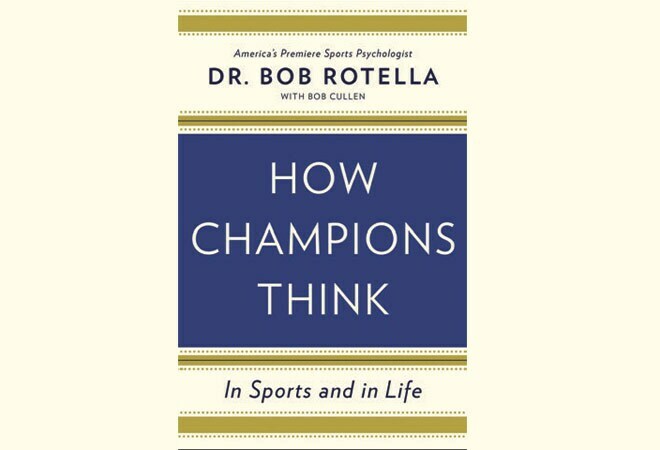 As a sports psychologist at the University of Virginia, author Dr Bob Rotella had the opportunity to work with sporting greats before they achieved their champion status. He draws on his numerous discussions with his sporting clients that helped them reach glorious heights. He begins by telling us about how once a skill is learnt, one needs to simply trust that skill. That he has real-time case studies to back his spiel makes the arguments that he puts across compelling. One need not be a sports buff to get the essence of what he says (in any case most sportstars he refers to are from the NBA and the US, and would warrant a Google search). The book is full of insights that are as relevant to the CEO or a manager or an executive or a student as they were to the sporting greats. Dr Rotella explains the concepts in a manner that's simple and straight. He believes that the one thing champions have in common is the way they think. They have similar attitudes and attributes. They all want to push themselves to see how great they can become. Such commonalities are established in the first chapter. The 18 chapters that follow are well-crafted specific inputs or tools that help one develop self. Dr Rotella is emphatic on the use of the 'desire to be the best' as a tool to empower and how that can drive one through strenuous workouts and the other things that would need to improve. For, sports is a great laboratory to test the ways people respond to situations. And, most significantly, how they respond to failure, and this book will surely equip you on how to go through that fire. Any book on sports learnings reminds one of The Ways of the Peaceful Warrior. While the narrative there was enthralling but layered, here it is straight and direct. Dr Rotella does not mince his words when he claims that dreams are cheap. And that's because lots of people just dream and achieve nothing. Exceptional people also have dreams, but they go well beyond dreaming. They work on to develop a strong will backed up by persistence and they also work on their optimism.